Sievers was found dead in her home on Jarvis Road in late June. The wife and mother of two small children ran a hormone therapy and holistic healing practice out of Estero. Through federal court documents, we learned Rogers was seen at a Lee County Walmart on June 28th. Sievers was found dead in her home on June 29th. While investigators were piecing the puzzle together in Florida, Rodgers� neighbors tell us he was bragging about the crimes in Missouri. Rodgers lived at a home 1,200 miles from Bonita Springs in the small town of Cadet, Missouri. Neighbors say Rodgers was well known. When we visited the home, Rodger�s girlfriend�s family explained how they learned about the horrific murder. They say he confessed to the killings earlier this week, and even pointed her to where he hid the evidence. "Evidently there was quite a bit of evidence. He brought it all here and threw it away and told Taylor where it was. I think they found the bloody jumpsuit he wore," said Cathy Gaston, a family member. His girlfriend then told investigators when they moved in for an arrest. Rodgers worked in construction and told people he would be out of town for a job when the brutal killing happen. Some who knew him in Missouri say Rodgers claimed to be a hit man. Rodgers, who reportedly goes by the nickname 'Hammer,' made an initial appearance in federal court in St. Louis Wednesday afternoon. "He always talked about how his favorite weapon was a hammer. He said it to me multiple times. My favorite weapon was a hammer," said Rodger's neighbor. The Lee County Sheriff's Office has remained very tight-lipped about the case, even refusing to say how Sievers was killed. But neighbors say they were told a hammer was involved. Curtis Wright, who goes by Wayne Wright on Facebook, is listed on the social network as a family member of Teresa Sievers' husband, Mark. According to Teresa Sievers' sister, Wright is Mark Sievers' childhood best friend. Wright and Rodgers are both friends on Facebook. At the time of the murder, Lee County Sheriff Mike Scott told us this was not a random act. During the first week of the investigation, our crews watched as evidence was removed from the home, including a cell phone, computer records, a large door and even the family's van. We reached out to Mark Sievers earlier today. He was seen at his wife's office for several hours before leaving around 2 p.m. He tells us he has �no comment� on the developments. When Lee County investigators flew to Missouri searching for the killers of Dr. Teresa Sievers, they packed for three days. They were there three weeks. Lee County Sheriff Mike Scott said Sgt. David Lebid and Det. <culink culang="en" href="http://curiyo.com/en/topic/Michael Downs" title="">Michael Downs</culink> came back not only with new clothes but a wealth of evidence. Scott said the sheriff's office is thrilled the agency's investigation into the adored Estero doctor's June 29 murder led to the arrests last week of 25-year-old <culink culang="en" href="http://curiyo.com/en/topic/James Rogers" title="">Jimmy Rodgers</culink> and 47-year-old Curtis <culink culang="en" href="http://curiyo.com/en/topic/Wayne D. Wright" title="">Wayne Wright</culink>. Warrants say the Missouri men need to appear in Florida on second-degree murder charges. "I don't know that there's been a higher profile case," Scott said of Sievers' murder. He knows two months sounds like a lot of time to investigate, but: “Knowing what I know, it seems pretty fast." A Missouri circuit judge set a Sept. 30 extradition hearing for Wright as a formality, said Alisha McKalip, with the circuit clerk's office in Hillsboro, Missouri. Wright has refused to waive his extradition, according to a fugitive probable cause affidavit. But the court document dated Monday goes on to say that a Lee prosecutor will ask Florida Gov. Rick Scott for a warrant to involuntarily extradite Wright. Sheriff Scott said he expects Wright to appear in Florida in the next 30 days. Rodgers, whose legal situation is muddied by the fact that he is being federally held on a violation of probation, will take longer to face Florida charges. “And that was by design, of course,” said Scott. “Once you arrest a person and charge (him), a clock starts ticking. We felt the timing — and the state attorney agrees — and the body of evidence to that point was right to level the charges against Rodgers." He said getting Rodgers off the streets for violating his felony weapons charge was the first step in a well-orchestrated plan that ended with Wright, a long-time friend of Sievers' husband Mark Sievers, behind bars a day and a half later. That violation stems from Rodgers leaving Missouri without permission from his probation officer. Video surveillance footage shows Rodgers shopping in the Wal-Mart on Six Mile Cypress Parkway June 28, the day before the murder. "Digital leaves a big footprint," Scott said. Rodgers is slated to appear in federal court again for his final probation revocation hearing Wednesday. Mark Bonner, a law professor at the Ave Maria School of Law, said there are multiple options for how the judge may deal with Rodgers, one of which includes him staying in a Missouri prison for 57 months, the completion of his sentence on the weapons charge. “(Rodgers) owes the people of Missouri a debt,” said Bonner, a federal prosecutor of 30 years. Scott said when people are facing serious charges, like Rodgers and Wright are, investigators are sometimes able to get one to flip on the other, so it was crucial to cut off their ability to coordinate their stories. He said that stories or not, the sheriff's office has evidence — a lot of it. Scott said his investigators gathered gobs of circumstantial and physical evidence, some of which hasn't even been analyzed yet, that tells the tale "and will continue to tell the ultimate story on how this went down, very well of implicating others in the crime." “Early on, our detectives developed strong suspicion in terms of who committed the crimes and how it occurred,” he said. Scott wouldn't elaborate on how the murder happened, and even though multiple media outlets have reported the murder weapon was a hammer: "We have not and will not say that a hammer was used." Scott also mentioned that many have drawn conclusions from a nickname Rodgers gave himself on social media — 'Jimmy the Hammer'. "Rodgers has this business of 'hammer' on his Facebook," Scott said. Rodgers' Facebook page has since been deleted. Sievers was found at her Jarvis Road home in <culink culang="en" href="http://curiyo.com/en/topic/Bonita Springs, Florida" title="">Bonita Springs</culink> after she didn't show up for work at her Estero-based alternative medicine practice. Sievers flew back alone the day before the murder from a family getaway in Connecticut with her husband and two daughters. In spite of the long weeks away from home and the agency's dozen personnel working in shifts, Scott said: "We can't rule anything out, the way it has unfolded and the way it has started to mushroom in the last 10 days, I couldn't rule anything out, I can't rule out more arrests, more travel for our people." The sheriff said that investigating a murder more than 1,115 miles away is challenging, but the teamwork between the sheriff's office, Missouri and federal authorities is what led to the arrests. "It’s come together pretty nicely,” he said. Although two sit in jail in the death of the beloved doctor, "the investigation roars on," Scott said. "They are two very, very significant stages in those investigation … but by no means, no means have we stopped, let up, pulled off the gas pedal," he said. "We believe there's still work to be done to make sure we have everyone and anyone who is responsible in some way for this tragedy." 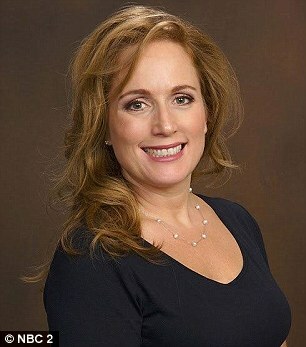 ST. LOUIS, Missouri - A Missouri man accused in the death of Dr. Teresa Sievers was sentenced Wednesday to six months in federal prison for violating his supervised release in an unrelated case. Governor Rick Scott signed extradition papers for one of the two men accused of killing Bonita Springs Dr. Teresa Sievers. The application for Wayne Wright would allow deputies to move him from a county jail in Missouri to Lee County. Scott has not signed an application for the second suspect is Sievers’ murder, Jimmy Rodgers. He is currently serving six months in a federal prison in Missouri for probation violation. Lee County deputies say Wright and Rodgers were at a Wal-Mart in Lee County the day before the Sievers was killed. Dr. Teresa Sievers' trip home June 28 — the day before she was found murdered in her <culink culang="en" href="http://curiyo.com/en/topic/Bonita Springs, Florida" title="">Bonita Springs</culink> home — was not spur of the moment but rather planned to get back to work the next day. Curtis Wayne Wright, 47, is awaiting extradition and Jimmy Rodgers, 25, is in a federal prison in Missouri on a probation violation charge. Issues such as when Sievers decided to come home from a Connecticut family gathering a day before her husband and two daughters are germane to the investigation, Scott said. Her body was discovered the morning of June 29 when workers at her <culink culang="en" href="http://curiyo.com/en/topic/Estero, Florida" title="">Estero</culink> practice became concerned when she did not come to the office as planned. Family members have said Sievers' husband, Mark, spoke with her on the phone the night she returned home and found her to be fine. Mark Sievers worked as an officer manager at his wife's Estero holistic medical practice, Restorative Health & Healing Center. Since the murder, information has surfaced showing Mark Sievers and Wright had a connection that predates the Sievers' marriage. They attended grade school together in Missouri and have been best friends since. Sievers listed Wright as his brother on Facebook. Wright and Rodgers also were connected through Facebook. Sheriff Scott said suspicion in a case like this, in which the identity of the person or persons responsible for a homicide is not clear, detectives cast the net wide for suspects as well as witnesses. "Who would I expect to know more," he said. "A wife, brother, close associate? That's where we go with this." The sheriff said the ongoing investigation has not rejected any explanations and theories. "It would be premature to rule anything out," he said. Nobody has escaped that "envelope of suspicion," Scott said, with the net cast as close as her husband. "Husband, wife, children, brother, sister, immediate friends, close family friends and business associates," he said, are all in the envelope when investigating a homicide. Kitty Lifka, 85, a Missouri woman whose family employed Wright as an IT specialist, said he was a smart man who they fired. Members of that same family are also well-acquainted with Mark Sievers and have had a relationship with him since his college days at Missouri University, which he attended for a year. Her husband, Ray, and sons Raymond and Todd, were familiar with Wright through his work as an employee of Rali Enterprises and IC-All.com from 2003-09. "When I hear the name Wayne I see a smiling face," she said referring to Wright by his middle name. KItty Lifka said that Wright was intelligent, especially when it came to computers. But problems arose. She said her son Raymond told her that he had to let Wright go due to problems. When they found out that Wright was implicated in Sievers' homicide, she said the family was surprised. She said she and her son did not think that Wright was capable of murder. "We all thought that he would have tried to stop it," she said. She added that she had no idea if Wright was even in Lee County at the time the doctor was killed. The Lifka's connection with Mark Sievers came via her son's friendship with him. "Mark went to college with my son," she said. "The day I met Mark I came home and Mark and him were sitting at the kitchen table teasing each other." Lifka said that Mark Sievers became such good friends with her son that he eventually paid for her son's modest wedding reception. "I said to (Lifka's husband) Ray, 'He's so nice, just a nice guy," she said. "Then he moved to Florida and met a nice girl." Kitty Lifka said Mark Sievers was always very respectful and called her often to talk. "He was so much in love with the girl he had met," she said. "He was helping her get started as a doctor." Lifka said she even received a letter from Teresa Sievers at one point, praising Mark: "She wrote that she never could have accomplished what she did without Mark." Over the years they exchanged other letters, one showing the couple together with their first daughter and then later a picture of their second daughter as a baby. Kitty Lifka said she called Mark Sievers after the murder. "He was a basket case," she said. "He was all choked up." She said she told him she would give him more time and call again. "Mark was a smart guy and ever so nice. I was so glad he met a gal he loved," she said. "I can't believe it." The latest communication with Sievers came recently, she said. "Mark emailed my son. He said that Mark didn't say much," Kitty Lifka said. He did say one thing. "He told him that he just couldn't sleep in that house. He just couldn't do it," Lifka said. Scott said Wright and Rodgers will eventually be brought to Lee County to answer charges. Gov. Rick Scott has signed an extradition application to have Wright brought to Florida to face his second-degree murder charges. Wright is scheduled to appear in a Missouri court on Sept. 15 for a bond hearing and on Sept. 30 for an extradition hearing. Wright's attorney has said he plans to fight the extradition. "He can fight it all he wants," Scott said. "He's coming here one way or another." Rodgers is serving a six-month sentence for violating his probation when he traveled out of the state, allegedly to come to town the day before the doctor was killed. Scott said he would love to be more open about the case and the actions of his deputies and detectives. "I want to stop beating around the bush," he said. "We're very proud of our body of work in this case. Our involvement has been nothing short of stellar, textbook. I want to tell that story." The sheriff said that more information in the case will be released, especially after Wright's extradition is successful and documents related to his arrest and charges are made public. The sheriff said he understands the fascination with the case. "People are very curious, they are captivated," he said. "It is clear to everybody that there is so much more to the case. People are hungry for bits and pieces." Jimmy Rodgers, 25, and Curtis “Wayne” Wright, 47, were taken into custody in Missouri on Aug. 27. “We had known that was going to happen for weeks and weeks ahead of time,” he said in an interview Friday. Both Rodgers and Wright have been named on warrants for second-degree murder. The sheriff still isn’t ruling out future arrests in the case and said he continues to receive updates on a near hourly basis, including a tip he received by phone Friday. Scott still has not identified how Sievers was killed or the motive behind her death. There’s much he says he can’t talk about at this point in the investigation, including the family’s alarm system, whether anything was taken from the home or if the family’s pets were there when Sievers was killed. “Most of the questions I’ve been asked about this case I know the answer to, but I just can’t say,” the sheriff said. Scott did confirm there was forced entry into the home, saying he believed most people had seen the TV footage of a door with “really significant pry marks” being carried away from the scene. He declined to clarify the timeline of the hours before and after the killing, saying it was “too detailed, too germane” to the investigation. Although the results are not generally admissible in court, Scott would not say if the two suspects or anyone else had been offered or actually taken a polygraph examination. The sheriff was able to discredit a neighbor’s story that Wright and his wife had been taken into custody for three days in Missouri following a raid on Wright’s trailer July 12. Other than that detail, Scott said most of what he’s seen reported in the news has been “fairly accurate,” although the reported information is still an incomplete picture. “I’m not aware of any glaring inaccuracies,” he said. As the investigation continues, Scott said his agency has been in touch with Sievers’ two young daughters to check and see how they are doing. “We certainly want to make sure they are OK, and we believe they are,” he said. In addition to her daughters, Scott said he recognizes that others also have been victimized by Sievers’ death. “No victim paid any price close to what Dr. Sievers paid, but there are other victims — friends, patients, family members, and in an indirect way, the community — who have a great deal of grief and concern,” he said. Lee County Sheriff Mike Scott declined to answer questions about the Bolin case. But speaking generally, the sheriff said he wouldn’t rule out the possibility that other crimes could be solved following the investigation into Sievers’ death. The last time anyone heard from Bolin was on July 8, 1996. His white Subaru was found the next day at a car wash in St. Louis, with the front driver’s door open and keys still inside the vehicle. Bolin had been a preacher for several years and was employed as a temporary clerical and computer worker at the time he went missing, according to a 1996 story in the St. Louis Post-Dispatch. Around 2001, a Missouri inmate being held in a stabbing case confessed to killing nearly a dozen victims, one of which he said was Bolin. The inmate later recanted, and prosecutors said they believed he was seeking to derail his trial for the stabbing. Meanwhile, detectives in Jefferson County continue to investigate the possibility that Wright was involved in Bolin’s disappearance. Coombs said Wright and Bolin “were associates” but declined to comment further on their relationship. One of Bolin’s relatives said the two families became friends after Bolin met Wright through church as a teenager. The relative asked not to be named in this story out of fear for retribution. Before his disappearance, the relative said Bolin had gotten mixed up in drugs and began using methamphetamine with Wright. Wright’s criminal history includes a handful of drug charges, including an arrest for possession in May 1996, just two months before Bolin went missing. Police in a suburb of St. Louis found a .22-caliber revolver, a black plastic scale and three glass vials of a white powdery substance in Wright’s Camaro during a traffic stop, according to an arrest report. Wright told the officer he used the crystal meth to stay awake while working nights. Reports show he was working for a technology company at the time. Now that Wright is once again behind bars, Bolin’s family members are hopeful they might finally get answers. A lawyer for one of the men accused of second-degree murder in the killing of Bonita Springs doctor Teresa Sievers, withdrew a motion for bond in a Missouri courtroom Tuesday morning. Curtis Wayne Wright Jr. will be held without bond in Jefferson County following the charges, which his lawyer explained were not formally filed at the time he originally made a motion for bond. Wright's lawyers have until Sept. 25 to file documents supporting Wright's opposition to extradition. Wright will appear in court again Sept. 30 regarding extradition to Florida. Wright is one of two men arrested on second-degree murder charges in Sievers' death. Jimmy Rodgers, also of Missouri, was sentenced to six months in jail for violating his probation when deputies found him at a Lee County Walmart a day before Sievers was found dead in her home. Shortly before he went missing in 1996, a Missouri man told a friend he planned to “spill the beans” on Curtis “Wayne” Wright, who owed him money. Wright, who has been arrested in connection with the death of Bonita Springs doctor Teresa Sievers, also is a person of interest in the disappearance of Ronnie Bolin, a former preacher who disappeared in 1996 and whose body has never been found. Few details have been released about Wright’s involvement in the Sievers case, although he is a longtime friend of the doctor’s husband, Mark, who grew up in Missouri. Officials in Jefferson County, Missouri, confirmed earlier this month that Wright is now and has always been a person of interest in Bolin’s disappearance. Documents obtained Thursday by the Daily News give more details as to why they believe he may have been involved. Bolin, then 33 years old, lived in Hillsboro, Missouri, about 45 minutes outside of St. Louis. He was last seen by his father on July 8, 1996. His father told detectives that Bolin had loaned Wright $1,500 for a car and was having trouble getting paid back. That day, Bolin planned to meet up with Wright to collect the money, according to Bolin’s father. Bolin’s white Subaru was found abandoned in a St. Louis car wash the next day. The keys were still in the ignition and the driver’s side door was ajar. Detectives found no sign of a struggle. Bolin’s father questioned Wright, who told him he had paid Bolin and then dined with him at a St. Louis Pizza Hut. In the days afterward, Wright left the state, telling friends and relatives he was going on a vacation to Florida. Investigators found a phone message on Bolin’s machine that had “a male voice on it which was in a threatening manner.” Sheriff’s Office documents don’t indicate who the man was or what he said. One friend said Bolin threatened to “spill the beans” on Wright if he wasn’t paid back, but the friend said she didn’t know what Bolin meant by that. The same woman said she had received a call on July 9 between 8 and 10 p.m. from someone who sounded as if their mouth was covered and was involved in a struggle. The woman said both she and her daughter had received similar calls, but they assumed it was just a prank. Bolin’s brother said someone had broken into Bolin’s trailer that March and stolen a computer. The brother suspected Wright was the thief. In April, the brother said Wright and another unidentified man had pulled up next to Bolin in traffic and fired a shot into his driver’s side window. Bolin found and kept the bullet and had his window replaced, according to his brother. A relative of Bolin told the Daily News that Bolin got involved in drugs after his divorce in 1994 and had been using meth with Wright. An initial report from detectives says Bolin had borrowed $900 from Wright to buy crack but does indicate who provided that information. Wright’s ex-girlfriend told investigators that Wright pretended to like Bolin but would frequently complain about him. She said she had watched the two men carting around computers in cardboard boxes and believed they may have been stolen. Two years after Bolin disappeared, investigators met with a woman who said a friend of Wright’s stopped by her home in July 1996 to borrow a shovel. The man told her that he, Wright and two other men had “killed a preacher” and need to bury the body. He told the woman that Bolin knew Wright and the others were stealing computers and was going to tell on them. The woman told detectives she did not have a shovel. She refused to fill out any written statements. Another possible break in the case came in 2001, when an Illinois inmate being held in a stabbing case admitted to killing about a dozen people, including Bolin. Corey Fox was charged with Bolin’s murder but the charges were dropped about eight months later. Fox later recanted, and prosecutors said they believed he was seeking to derail his trial for the stabbing. Detectives continued to get tips from people who believed Wright was responsible for Bolin’s death. Last year, a caller told investigators Bolin and Wright worked together at a computer business and had a falling out when Bolin discovered money missing. The man said Wright’s ex-girlfriend’s father had told him that Wright and another man had used a wood chipper to crush Bolin’s bones, scattering them around Wright’s home in Hillsboro. Since they were unable to put his skull through the machine, they instead crushed it with a hammer, throwing the pieces alongside the highway “from Missouri to Kentucky,” according to the caller. Coombs said he wanted Wright to know he was still investigating Bolin’s disappearance and invited him to share any information he may have. He waived his right to an extradition hearing shortly before it was scheduled to start in the Jefferson County Courthouse in Missouri. Wright and Jimmy Ray Rodgers, 25, were charged with second-degree murder in Sievers' death June 29. Wright was wearing chains as sheriff’s deputies brought him into Jefferson County Division 14 Associate Circuit Judge Timothy Miller’s courtroom. Wright then waived his right to the hearing. He has been held without bond in Jefferson County Jail as an out-of-state fugitive. “This court orders that the state of Florida now may take custody of Mr. Curtis Wayne Wright,” Miller pronounced after a brief discussion with Wright and his attorney, Daris Clinton Almond Jr., and assistant prosecuting attorney Catherine Robertson. Jefferson County Prosecuting Attorney Forrest Wegge after the hearing said he was not sure when Wright’s extradition will occur. “It’s a matter of logistics," Wegge said. Wright's attorney last month originally said he would fight extradition. 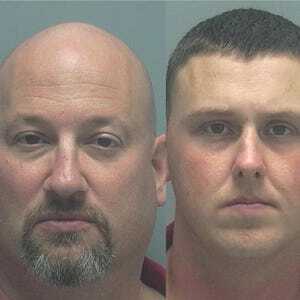 Wright and Rodgers were arrested by authorities in Missouri in late August. Rodgers was on supervised release for a weapons charge as a felon. He violated the terms of his release by traveling to Fort Myers in June, Lee County detectives say according to court documents. Rodgers and Wright were seen at a Wal-Mart on Ben C. Pratt/Six Mile Cypress in south Fort Myers on June 28, the day before Sievers' body was discovered at her Bonita Springs, Florida home. Wright and Mark Sievers, Teresa's husband, are close friends. Wright also had ties to Rodgers, according to their Facebook pages. Lee County Sheriff Mike Scott wouldn't rule out more arrests. "Praise the Lord!" said Annie Lisa, the doctor's sister, after hearing Wright will be extradited.